Heading back to work after having a baby isn’t a one-week “Oh great! You’re back! Life is back to normal!” type of transition. Parental leave reintegration into an office and a team is often a several-month – or even a full year – work in progress. Yet, it strikes me that few companies have comprehensive, longer-range strategies to help their new parent employees transition back in a way that works. Few new parents also realize what a long process the maternity or paternity leave transition can be. What can go awry? Plenty. From sporadic communication. To misaligned expectations on the part of both the employee and the employer. New mama and papa overwhelm. Childcare challenges. And workplaces that don’t offer much by the way of flexibility. The challenges can be many. And what are the incentives to make it go right? There are plenty of those, too. Companies want to retain top talent. (Yes, working parents remain valuable and devoted employees.) Avoid recruiting costs and turnover. And new parents can have a true sense of fulfillment in their new working parent lives. The return to work after parental leave is absolutely a two-way street, with effort required on both sides. But what effort, exactly, leads to the most successful transitions? Check in with your supervisor and coworkers before re-entry. Touching base allows you to get a pulse on what’s happening. It also serves to remind them you will be returning – and that you will need work upon your arrival! Form a plan for your return hours and days, with a gradual return / ramping up period, if possible. (Also don’t start back on a Monday, if you can avoid it!) One mom did two short weeks in the beginning (2 days the first week, then 3 days the second week), with Fridays off for a few months. She said this helped her ease in, figure out a new baby schedule, and reduce the stress of suddenly being away. 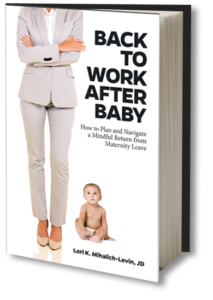 If possible, transition your baby into childcare prior to transitioning back to work. This helps reduce the nerves and distraction of coupling handing your baby over to a near-stranger with the return to your job. Be clear about your timing needs, as far as hard-stops for daycare pickup, pumping times, etc. Dare to ask for flexibility, and treat that conversation as a business negotiation. 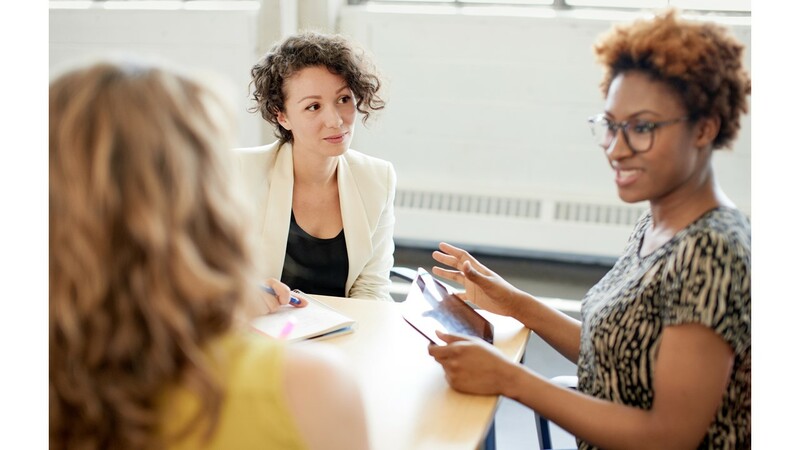 There’s some great advice in this article from the Diversity & Flexibility Alliance on how to go about that: Asking for Flex: It’s a Business Negotiation Not a Personal Favor. For the first year, check in every month or so with your manager and team, to determine whether everyone is on the same page about your re-entry. Regularly scheduled check-ins also open the lines of communication for any adjustments that need to be made. Explore new techniques for focusing your attention (check out the Pomodoro method here). And work to manage your own to-do-list challenges. Talk to colleagues about strategies for work travel. Know there are challenges but also benefits to having to be away. Here are my own musings on my first work trip away from my oldest. KNOW you are doing better at this working parent thing than you think you are. First, and perhaps most importantly, believe in the new parent for the long haul. Transition periods can have their ups and downs. And with communication and effort on both parts, your parent colleagues will be amazingly dedicated employees. Offer liberal telework policies, particularly during the baby’s early months of life. (These months often correspond to the breastfeeding months for new moms, which are inherently more challenging from a logistical perspective.) One mom noted that having two weeks of telework upon her reentry helped her immensely. The logistics of daycare drop-off can be hard, and it takes a few days to work out some of the issues. Offer flexible work hours where possible, so employees can start and end their days in a way that more successfully accommodates a baby’s schedule. Also provide support for any changes that need to be made to accommodate a new mom’s nursing / pumping schedule. Offer reduced work hours when possible, especially the first few months. Some companies have ramp down / up programs with automatic (i.e. no approval required) reductions in hours. One lawyer mama whose firm provided “ramp up credit” of a certain number of billable hours found this incredibly helpful to her transition. Keep work as steady as possible in the first weeks (to avoid, as one alum says, the “fire hose to the face” effect). A gradual return of responsibilities and projects to employees is ideal. Provide frequent, honest feedback to the employee on work performance. Even if things are going well, don’t assume she doesn’t need to hear your thoughts. For the first year, check in every month or so with the employee, to determine whether everyone is on the same page about the reintegration process. This also allows you to open the lines of communication for any adjustments that need to be made. Provide back-up child care as an option. Babies get sick a fair amount that first year, daycares are closed, etc. Helping the new parent employee through these challenges means he or she is more able to focus on work and be absent less frequently. Have open conversations around work travel. Some new parents may be fine traveling right away, while others may do better with a grace period on overnight travel. Consider offering services like Milk Stork as employee benefits, so your employees can ship milk home. Consider offering to pay for a nanny/partner to travel with an employee who is still nursing. Connect the employee to company resources or groups. If there aren’t any formal parent groups or listservs, help connect them to other new parents in the office. Have compassion for the employee’s new situation. For example, “setting unrealistic deadlines, not offering support, and expecting coverage after normal hours” can all upend home life. Give the new parent a few months before treading those waters. As you can see, this group of new moms had so many ideas for how to make the transition process go more smoothly. If you’re a new parent, can you employ some of these strategies to feel more confident about your return? 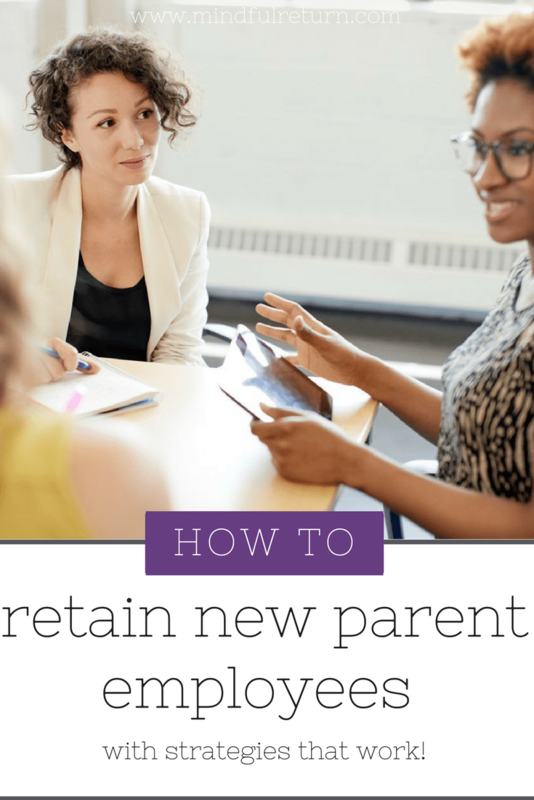 If you’re a manager or employer, can you develop a thoughtful and intentional transition strategies for your new parent employees? Here’s to retaining amazing parental talent. For employees who would like to take charge of their parental leave and personal brand at work, check out the Mindful Return Maternity Leave Template and the Mindful Return Paternity Leave Template. Want to join a supportive community of new working moms as you prepare to transition back to work after maternity leave? 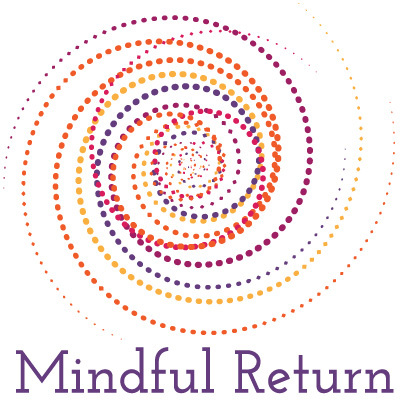 Join the next session of Mindful Return.